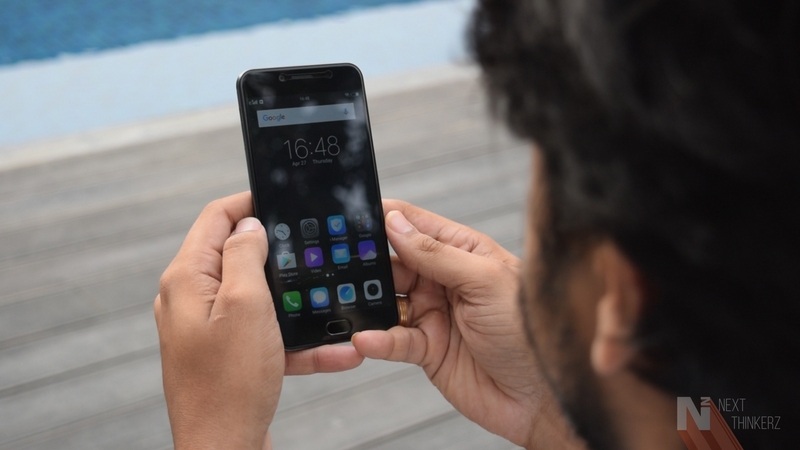 Vivo V5s Hands-On Impressions: Budget Selfie Expert? 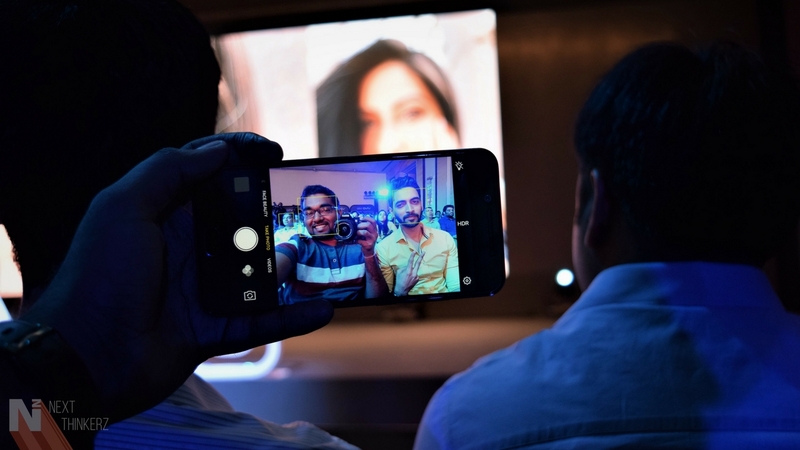 Vivo has been on a roll of announcing several camera-centric smartphones from this past quarter, and that hasn't stopped them from announcing few more devices joining their alley, now that the term "Dual Selfie" fits their key tagline. The recently announced Vivo V5 and the V5 Plus have successfully classified those thoughts on their journey when it comes to the "Moonlight Selfie Flash" appeal. 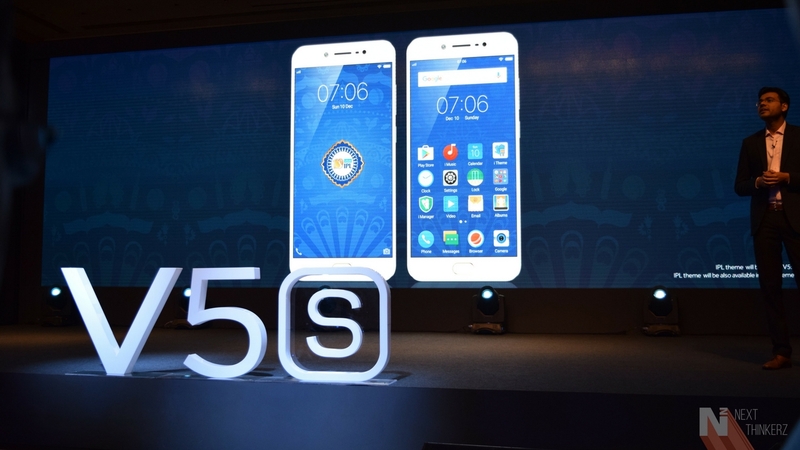 Today Vivo Smartphones announced the newest member of that family, the all new "Vivo V5s". Well to put into simple words, the new Vivo V5s could be called as the upgraded Vivo V5 inside the body of Vivo V5 Plus, while falling under a mid-range pricing segment. The device does have handsome looks to it, however, drawn from the top tier competition. But does the Design and Dual front camera are enough to satisfy the thoughts of an avid user, when it comes to 2017?. Also isn't performance; a core aspect of any device? 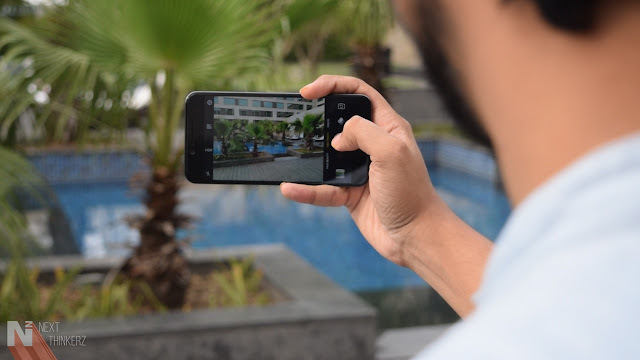 Well, let's find that out in our in-depth Vivo V5s hands on impressions. Isn't matte black, the new black; when it comes to the smartphone manufacturers? Let's just stop right there, as we all know and quite solidly appreciate it. 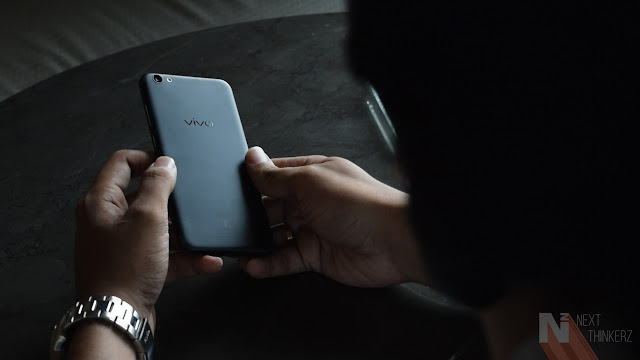 Seemingly enough the new Vivo V5s is also available in the new matte black variant, which resembles the recently announced "Vivo V5 Plus IPL Edition" smartphone. Let's just dwell on the changes/upgrades on the new device considering Vivo V5 in mind. If we keep the design resemblance to the iPhone aside, I must say Vivo has done a commendable job. But as we all know from where they've got the design; which for the better sake of the audience is a sad reality. Having said that, in fact, the Design & even the Build keeps the essence of it's elder sibling, the Vivo V5 Plus. Though there is one particular change in the newer model with the V5s, typically on the front. Now the physical home button is not clickable, but as an advantage, the fingerprint sensor is always awake; even when the device is in sleep mode. It also keeps the signature 0.2-second fingerprint unlock feature. Another noticeable difference, when compared to V5 Plus, is that now on the Vivo V5s, you won't notice any camera sensor bump. That, in turn, iterates less wobbling, when kept flat on any surface. Whereas on the other hand, I didn't felt the need to look at the camera sensor, while placing the device in my pocket. Speaking of the colors, the Vivo V5s is available in two accounting the "Matte Black" and "Crown Gold" colors. Lastly, the phone is about 154g in weight which isn't heavy in my opinion. A 5.5 inch 720p HD IPS LCD panel(267 PPI) cannot oddly satisfy the needs of an everyday user, especially when it's the year 2017. Well, it's sad to see a 720P display(2.5D curved) on the new Vivo V5s considering it's price & an upgrade over the current Vivo V5. However, I felt the color correction was on point, while the software gets densely situated with some modes to tweak the same. Though it was quite funny to witness the launch event, when the officials said that the device had an HD display, rather than being precise. But in their defense, the display isn't truly a headlining feature of the new Vivo V5s, and I might consider accepting that fact. The new Vivo V5s also gets the latest Color OS 3.0 update, but sadly it's built on top of Android Marshmallow 6.0 which isn't a new story; if you're familiar with the company's announcements. It's quite skeptical whether Vivo would release a Nougat Update to this device since their quarterly refresh cycles are always on the roll. While the blue light filter mode gets oddly touted as eye protection mode, which is simply a fancy gimmick. It has got a 20MP camera on the Front along with the moonlight selfie flash. Speaking about the Moonlight Flash, I've thoroughly enjoyed this feature with the Vivo V5 Plus in the past. Not sure whether it stays the same on the new Vivo V5s, let's just find that out in its review. Speaking about the rear side, it has got a 13MP sensor, which to the point seemed right. The camera app comes with face beauty 6.0 feature which helps in getting a fair skin tone. Fun fact, when it comes to Vivo smartphones, my coverage notes always have the front camera mentioned ahead as that of the rear. Funny isn't it? Sometimes the world in front of us is beautiful too, Vivo should make a note of this. It runs on 1.5 GHz Mediatek MT6750 64-Bit Octacore processor which gets coupled with 4GB RAM and 64GB Internal storage at its default. Whereas the Mali T860 MP2 GPU comes to the rescue. The expansion is available up to 256GB via an external hybrid sim slot. It has AK4376 Hi-Fi Audio Chip, supporting output up to 115 dB. It also comes with 3000mAh Li-on non-removable battery. The phone supports 4G LTE network, while supports VoLTE. It also comes with Bluetooth 4.0 & WiFi 802.11 b/g/n/ac. Apart from that, you will also find all the usual sensors on the Vivo V5s. The Vivo V5s is priced at Rs.18,990 INR and would be available starting 6th May 2017 in both online and offline retail outlets. However, if you speak about online, it will be exclusively sold via Flipkart(link). So for a such a price; what do you get when compared to Vivo V5? Well, you're getting an upgraded internal storage in the body of Vivo V5 Plus. I can't provide my final verdict as I've used this device for only about a day. So stay tuned for its full review which will be live soon on both our Blog and YouTube channel. The only factor which I feel should've got upgraded would be the processor, probably a Qualcomm Chipset. So what do you guys feel about this new Vivo V5s, will it make the cut? Let me know in the comments below. 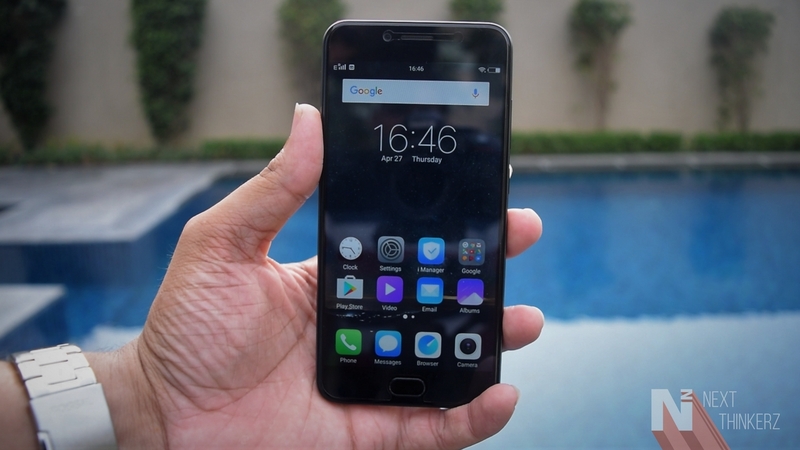 Also See - Vivo V5 Hands-On Video.